It is with great enthusiasm that I would like to announce that the Canadian Immigration Council has added a new and exciting service to help its many clients and friends – real estate! Thanks to a newly formed strategic affiliation with RE/MAX 3000, we can now offer anyone wishing to purchase a property – residential, or commercial, terrific exclusive deals, available only through our firm, thanks to our vast network of clients and contacts. If you are looking to purchase a property, we can help you find exactly what you are looking for, at the best possible price! For anyone wishing to sell a property, our unique international network of investors, will offer you the opportunity not only to showcase your property to a local market, but to a global one as well. This will enable you to get the very best price for your property, in the shortest period of time, and at the best possible conditions! So whether you are looking to purchase a new house or condominium, or looking for a revenue property or a commercial investment, the Canadian Immigration Council can help you achieve your goals! We look forward to helping you and providing you with excellent service! Richard Serour, President and CEO of the Canadian Immigration Council, is recognized as one of Canada's leading immigration professionals and advocates. 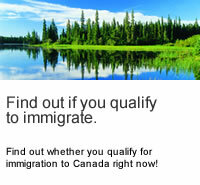 Mr. Serour has dedicated his life to working on behalf of people around the world wishing to immigrate to Canada. As an experienced immigration specialist, Mr. Serour has helped thousands of families come full circle from the dream of coming to Canada, to becoming permanent residents, and ultimately to becoming proud Canadian citizens. With his qualified staff and network of consultants, accountants, lawyers, paralegals, and other support experts, the Canadian Immigration Council has turned many people's dreams into reality. To say it best, would be to quote Canada's Prime Minister Stephen Harper who announced to the world that, "Canada is the place where people want to come and stay, to learn, to pursue opportunities, to raise children, to enjoy natural beauty, to open new frontiers, to set the standard for the world for a high quality of life; a Canada that is a leader and example to the world." 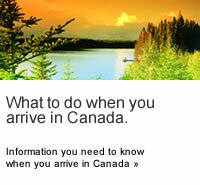 The Canadian Immigration Council invites you to take advantage of our online assessment today. The assessment is free, the opportunity is priceless. Wishing you and your family much happiness and success.